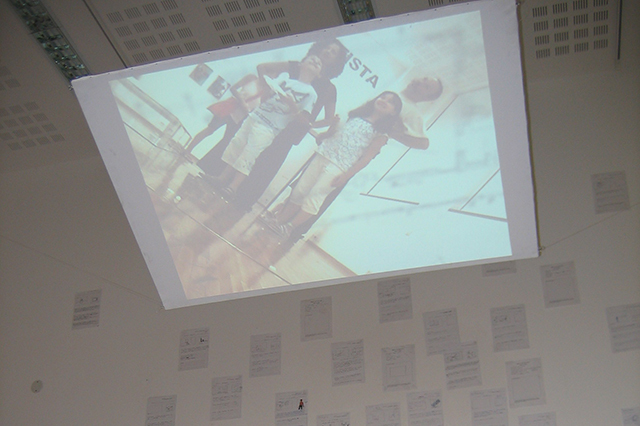 In Programma is an installation about the artist-curator figure. Especially it’s grow to look at a show in a larger point of view, trying to see itself like a wide work.During the vernissage I recorded the event, the centre of the work is who is looking at. Next day, with less confluence, I projected the registration (with sound). The canvas almost become a window of another show, a different time dimension so similar to the past moment, a pending place (in all senses) where people are like past phantoms, the place is the canvas that comes to be again a medium of a “different” reality. 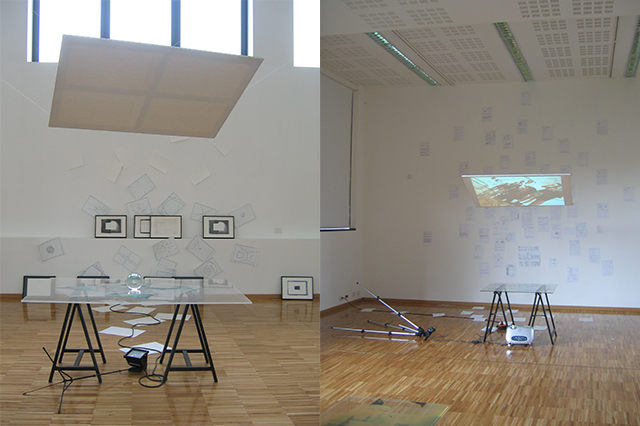 The clear reference to the Giulio Paolini’s installation (Fuori Programma, in the next room), is because some factors: The clear language he used perfectly suits to the figure of the student (staying in didactic area, if we want) or, better, to another artists generation. Solving that “isolation state” in what was Paolini’s work, too much “out”, and not have a dialog, like in my opinion should have, with the didactic place.